Every bottle of Ananda Full Spectrum Gels 900 contains 900 mg of active cannabinoids. Ananda Hemp’s Full Spectrum soft gels are the finest full spectrum gel caps on the market. Ananda uses compliant and premium hemp flower extract infused in organic hemp seed oil for the perfect balance of omega fatty acids. 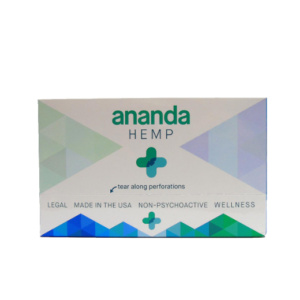 Made in an easy-to-swallow soft gel, Ananda Hemp Full Spectrum Gels Hemp Oil Capsules minimize the taste and are one of our most popular hemp oil products. These Spectrum Hemp Oil Capsules are tested with the same rigorous standards as all our hemp oil products to achieve the highest quality, premium hemp oil product on the market.